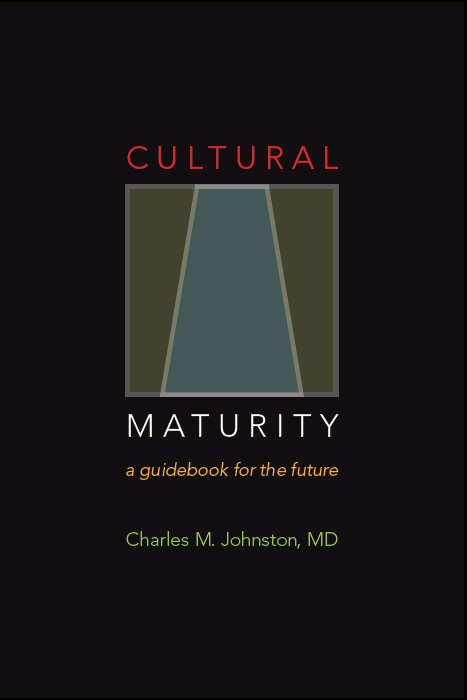 A new, more mature relationship to limits represents one of Cultural Maturity’s defining characteristics. In my writings, I’ve given special attention to one particularly ultimate example: our human relationship to death. Never in the history of the species has looking directly at death been something we have been capable of. Doing so would have stretched us beyond what we could tolerate. This picture is beginning to change, and the implications are profound. Appreciating just what is changing and some of those implications sheds valuable light on specific cultural challenges. It also provides important evidence for Cultural Maturity and the significance of its changes. I’ve written most about the implications of a new, more mature relationship to death with respect to health care. I’ve argued that we can effectively address today’s health care delivery crisis only to the degree that we can leave behind modern medicine’s heroic, defeat-death-at-any-cost mindset (see link). While viewing death as an enemy to be conquered has been central to many of modern medicine’s grand achievements, today, as medical interventions become ever more costly, continuing to see death in this way inevitably results in medicine that is simply not affordable. And there is a deeper concern. When we view death as an enemy, too often we confuse the prolongation of life with supporting life. The common result is extreme interventions that ultimately violate the Hippocratic Oath to “do no harm”—well-intended measure that are, in the end, simply not moral. worship for the ancient Celts, and writings such as The Tibetan Book of the Dead have served as guides to spiritual realization.) But religion, by providing unquestioned explanation for what happens after death, has also served to protect us from death as experience. At my mother’s funeral, the minister ultimately seemed much more concerned with reassuring everyone that my mother was now with God (and that everything was thus right and as it should be) than with my mother as a person. It became clear to me that this was not the place to be if I wished to grieve my mother’s passing in any full and complete way. To appreciate the challenge a culturally mature relationship with death presents to traditional religious teachings, it helps to put how religion has conceived of death in historical perspective. Each stage in the evolution of spiritual/religious understanding has provided us with a somewhat different picture of what happens after we die. Each of these pictures, in a way consistent with the realities of that cultural stage, offered a sense of order and gave us a way to reconcile with death. But each also, in the end, protected us from the fact of death. In tribal times, death was thought of as bringing a rejoining with nature and with our ancestors in a kind of parallel world. Later, with the early rise of civilizations and more polytheistic sensibilities, we commonly encounter belief in reincarnation, with death bringing a return to the present in some new form. With the emergence of monotheism, we came to think of death as providing entry into a now separate world—depending on our life choices, of either a heavenly or hellish sort. With the more liberal monotheism of Modern Age times, we tend most often to think of that separate world as simply a better and happier place. In asking this question of religion, it makes sense to bring a further sphere into the conversation: science. You might think that I am suggesting that science’s conclusion—that death is just death, the end of us—is instead correct. But science’s conclusion is, in the end, just as much an “article of faith.” Scientists share with theologians the fact that neither can describe death from personal experience. And Integrative Meta-perspective takes death’s challenge to science an important step further. It makes clear that while modern science’s view has contributed powerfully, the kind of “objectivity” that science relies on remains partial (see link to Integrative Meta-perspective). The aspects of intelligence that the traditional scientific worldview leaves out would be expected to make scientific interpretation especially unhelpful when it comes to making sense of death. (See link to “The Future of Science.”) In the end, science faces its own version of the same question as religion, and the implications could be just as transformative. Creative Systems Theory supports death’s challenge to the thinking of both religion and science in another, more abstract way. It suggests that any time we find beliefs that are commonly thought of as opposite in a polar sense—such as the positions of Left and Right in the political sphere, or here, with the conclusions of religion and science—something important is likely missing in each belief. A larger, more systemic picture will almost always not only brings each kind of traditional conclusion into question, it will suggest that all along we’ve not been asking quite the right question. We might appropriately expect this to be the case with death. A more mature relationship to death could also have marked and surprising effects in cultural domains that themselves do not as directly engage questions of death’s significance. Here I think most immediately of the media, both serious media—such as news media—and media of a more entertainment sort. News of an “if it bleeds, it leads” sort commonly garners the greater portion of airtime. It is rare to find television after nine o’clock in the evening that doesn’t involve at least one killing (more often it involves four or five). And killing—and the possibility of being killed—is pretty much defines what “action” movies and most popular video games are about. Modern media draw us in by creating a narrative tension between life and death. But, in the end, this is a manufactured tension, or at least a tension born of an increasingly outmoded and unhelpful interpretation of death—a polarized and mythologized picture that makes death if not evil, certainly our adversary. I find it fascinating to reflect on how the kind of “growing up” in how we view death that the concept of Cultural Maturity describes might, in the long-term, alter media—of all sorts. The need for a new maturity in our human relationship with death pertains not just to the thinking of specific cultural domains, but also to today’s most defining, more encompassing cultural challenge. 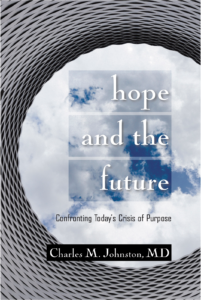 I’ve described the core crisis of our time as a crisis of purpose and argued for the importance of a new cultural narrative—a new step in how we understand significance. Coming face to face with mortality in our individual lives teaches us about what most matters to us as individuals—death is a personal life’s most pointed teacher of meaning, and ultimately of wisdom. As we learn to engage death collectively with a new maturity, it is reasonable to think that this engagement—e.g., that life and limits, joy and sadness, are paradoxically inseparable—should help us in a similar way to more deeply confront what most ultimately matters to us more broadly—as humans. Death confronts us with the fact that life as we know it ends. But it also confronts us with what is an even more final and easily disturbing limit. Death confronts us with limits to what is possible to control, and perhaps ultimately to understand. The humility required to accept this limit should play an essential role in helping us generate the wisdom that effective future decision-making in all parts of our personal and collective lives will increasingly require.